Do YOU Know The Fascinating History Of Christmas Stockings? I Had No Idea! To me, the absolute most exciting part about Christmas season is seeing how creatively each family prepares their home with beautiful decorations. Among these decorative items are the Christmas tree, large wreaths for the front door, and jingly ornaments. There are so many creative craft ideas out there that show us how to make the easiest, most special decorative items, like these DIY wooden tree ornaments displaying photos of your loved ones. But let’s not forget perhaps the most beloved decoration in the tradition of Christmas: stockings. However, despite being a household Christmas staple, few people know the fascinating origin of the beloved holiday stockings. Throughout the past century, we’ve witnessed an amazing evolution in the design and placement of the stocking. Some of the older stockings may surprise you! Scroll on to see how the Christmas stocking changed over the decades, and let us know your thoughts in the comments below! Here, we have one of the earliest known advertisements for Christmas stockings in America. Taken from a 1918 shopping catalog, the array of stockings paraded a great pride in holiday cheer — something which, until the 1850s, was scarce. Once a banned celebration due to historical and religious clashes, Christmas was reintroduced into mainstream society. For years to come, stockings would be an integral part to the festivity preparations. Christmas stockings weren’t always used for gift-giving, however. According to the Smithsonian, the legend tells of a poor, widowed man and his three young daughters. As a father, he was worried that the family’s poverty would make it hard for his girls to find suitors. St. Nicholas — or, more commonly, Santa Claus — heard about this man’s struggles, and decided to resolve the family’s plight. In the middle of the night, he slid down this family’s chimney, and saw the girls’ laundered stockings by the fireplace. He proceeded to fill them up with gold coins and silently disappeared. This moving story lives on through the stocking-hanging tradition today — but of course, such decorations have come to mean something entirely different over the decades. We now think of stockings as a place where Santa Claus lays his presents for the children. In Western culture, children who behave badly during the year are threatened to find pieces of coal, instead of presents, inside their stockings. While important, stockings were only just one of the many pieces of decoration that families would put up. On Christmas Eve, people would finish lighting their trees, and set down candles and fairy lights. In the early 20th century, tinsel and metal baubles were also popular and cheap to buy. Fancy stockings didn’t exist in the 1930s and 1940s. 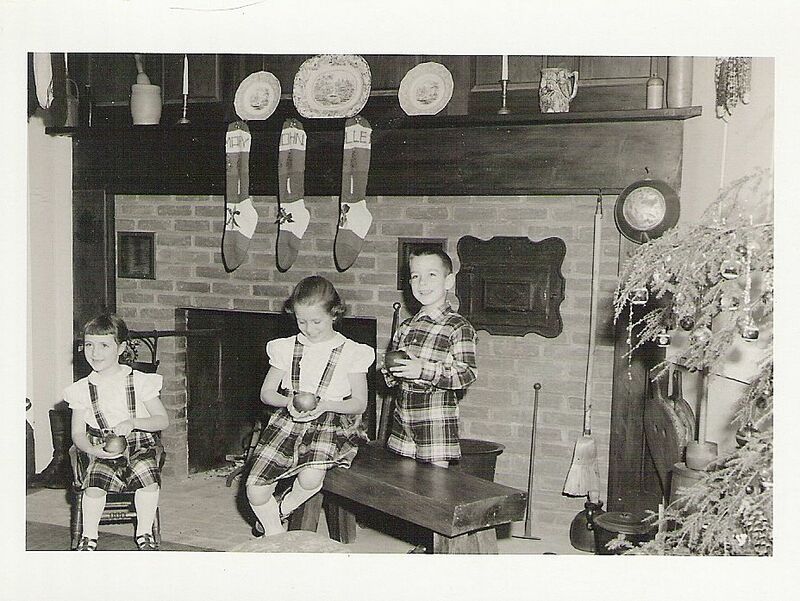 Children would simply hang long socks over the mantel, and wait for Santa to fill them with presents. Stories have been recorded on how those stationed overseas celebrated Christmas during World War II. Many soldiers would kneel down right there on the grounds of the battlefield for Sunday mass. Entire platoons would camp near local churches, and enjoy a meager Christmas meal. However far away they were from home, the soldiers still spread their own holiday cheer. 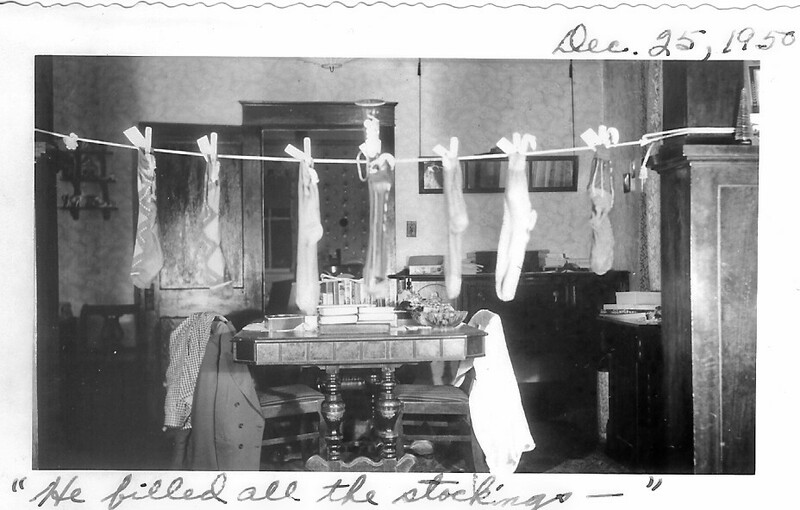 In the above photo dating to 1941, for example, Christmas stockings were hung with care onto rifles. Gradually, families started making their own Christmas stockings, and personalizing them with their names. In fact, home designs were so popular, that craft stores sold large varieties of knits, stencils, and supplies for recreating the perfect stocking at home. 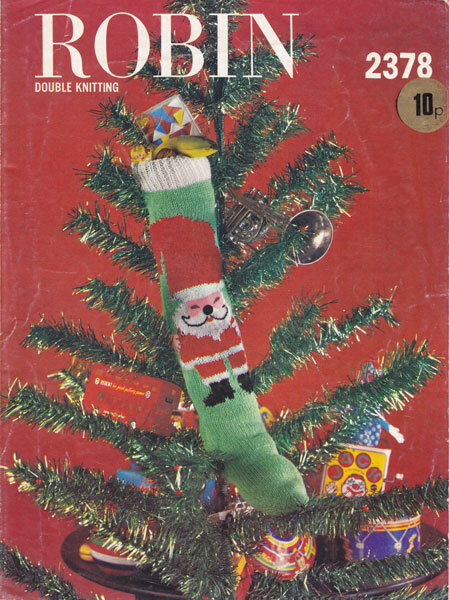 Most commonly, stockings throughout the 1950s would feature some tribute to Santa Claus, his reindeers, or general winter and snow-themed patterns. Some families, however — like these designs made by a “gentleman of German heritage” — decided to go a step further with more intricate, playful designs. Soon, Christmas stockings became more of a fashionable ornament than anything else. Once hung exclusively on the fireplace mantel, they now were found on Christ trees, in children’s bedrooms upstairs, and even across washing lines that were fastened across ends of the room. The wonderful thing about stockings from 60, 70 years ago is that they weren’t mass-produced and so widely available on the market at the time. This allowed both parents and children to create their own. No two stockings were the same, as they didn’t conform to a standardized mold or design. Red Christmas stockings became increasingly popular after the 1960s. Commodities and goods sold during Christmas fully reflected all that was new and essential in the new commercial age — including the first Kodak instant cameras, delicious crates of 7-Up and Coca-Cola, and General Electric Christmas light sets. Christmas stocking fashions have certainly evolved over the years. Well into the ’70s and ’80s, the shapes and sizes of the stockings varied, from wide, puffy socks to long tube socks, displaying everything from grandma’s knits to cartoonish characters. We hope that the unique tradition of hanging Christmas stockings will never go away, and we’ll see more new and fabulous stocking designs in the future. How do you decorate your home for Christmas? Be sure to share your stories and comments with us down below! Please SHARE if the Christmas stocking tradition never gets old for you!